Could a “re-birthing” experience be the future of weird recreational activities? Or maybe it will be the future of emotional therapy. 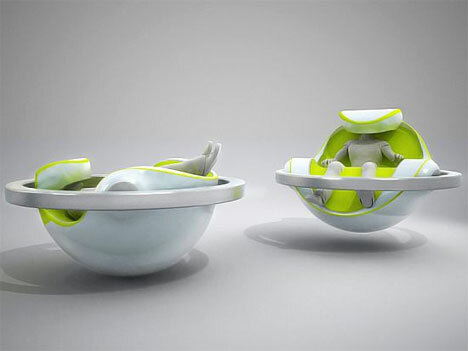 Either way, Columbian designer Nelson Ayala is counting on someone wanting to experience a simulated birth experience, because that’s just what his Nato Station chair concept would provide. 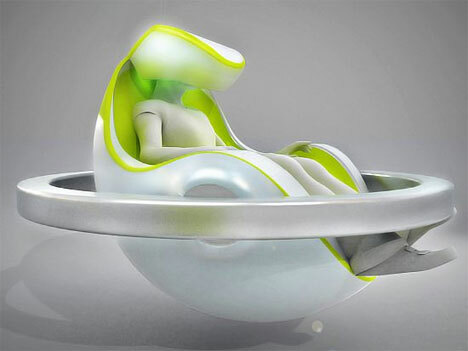 The experience starts off with a user sitting in this womb-like chair and putting on a helmet. The helmet scans brain waves at the beginning of the simulation and throughout to determine how the experience is affecting the user. 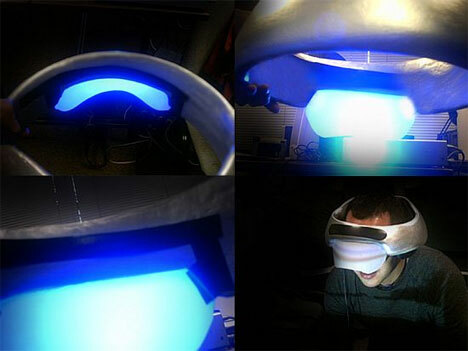 The helmet also works to block out most outside stimuli and create a profound feeling of relaxation. Slowly, the darkness and stillness inside the “womb” gives way to gradually increasing light and sounds. The user can hear sounds comparable to those heard in a mother’s womb: her heartbeat, her intestinal processes, and the muffled sounds of the outside world. The chair is heated to provide the comforting warmth of the womb, and the entire setup moves to mimic the subtle movement felt by a fetus. The user is completely disconnected from the everyday adult world and transported to a simple time before the outside world intruded on profound peace and comfort. 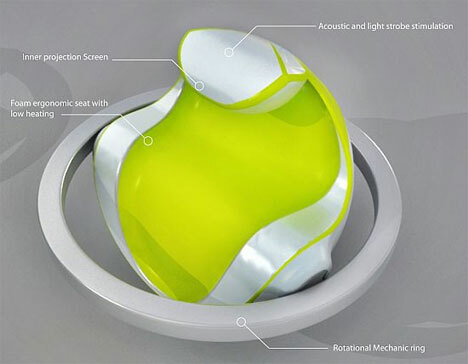 At the end of the simulation, the user is oriented in the typical birth position, making this “second birth” complete. Users who undergo the simulation – if the Nato Station is ever produced – will no doubt come out of it feeling like they have a new lease on life. 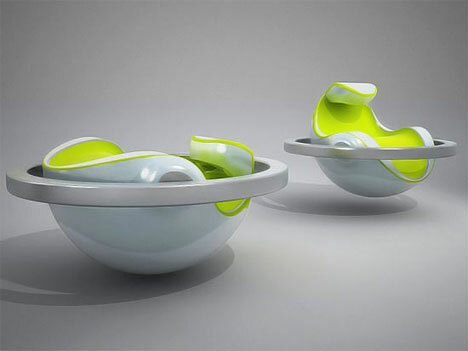 The designer sees a market for the unusual chair in locations typically associated with stress and sensory overload such as shopping malls and airports.